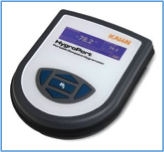 Kahn Instruments Precision Hygrometers & Optical Hygrometer Products | TALON Technical Sales, Inc.
Kahn Instruments, a leading supplier of instrumentation for moisture measurement. They offer both ceramic, and chilled mirror instruments. Sensors are available in portable, inline, and labratory designs. Hazardous area certified models are available. 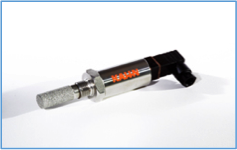 Kahn offers a hot-swap calibration program to reduce process down time. Contact us today to request a quote for Kahn Instruments. 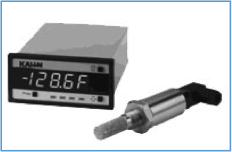 Kahn offers several optical (chilled mirror) precision hygrometer products--Optidew, Optisure and Series 4000--to perform at top levels within an extensive set of dewpoint measurement applications. To suit customer's specifications, each product is available in a variety of models, and for your convenience, all Kahn hygrometers offer measurement traceability to national and international standards. The sales and technical staff at TALON have experience and skill in matching our clients with the right products for their project specifications. When it comes to Kahn's hygrometers, we have the ability to set you up with the best, most efficient solution. Contact TALON today to start the discussion on your hygrometer.